Cathy McAteer is a postdoctoral research fellow at the University of Exeter for the ERC-funded project: The Dark Side of Translation: 20th and 21st Century Translation from Russian as a Political Phenomenon in the UK, Ireland and the USA. 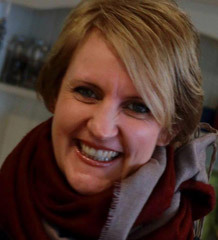 Cathy holds a PhD (2018) in Russian and Translation Studies from the University of Bristol. She has a Masters in Translation Studies (2011) and a BA (Hons) in Russian (1996). Her main research interests are in the field of classic Russian literature in English translation during the twentieth century, using archival material to shed new light on historical commissions, specifically Penguin's Russian Classics. Cathy has taught Russian-English translation for the MA Translation Studies programme at the University of Bristol since 2013.